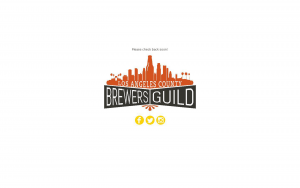 We’d been involved in the local craft beer scene for a number of years and had the chance to meet some great people, including Frances from the LA Brewers Guild. After talking and sharing a bit about what we do, it was clear we could help the Guild move in a more stable & healthy direction. 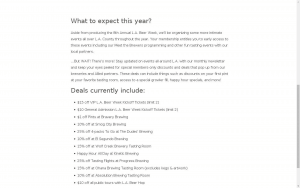 Active & Healthy with some ideas for the future on the back burner for encouraging even greater activity and participation from individual breweries. They’re busy people, so it’s understandable they’d focus first on their own websites and social media channels than the guild’s. 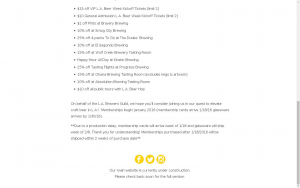 That need not be so in the future, but we’re happy for now with the growth the site has seen so far. 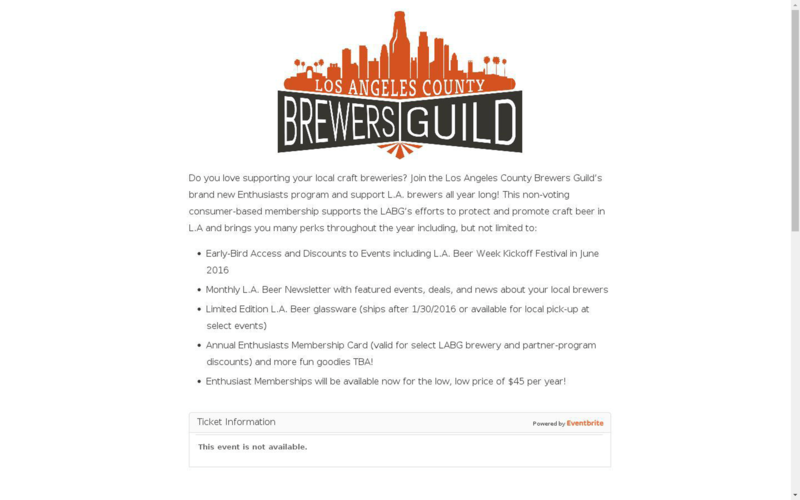 Being able to showcase the membership & guild events calendar was the primary objective with the new website. 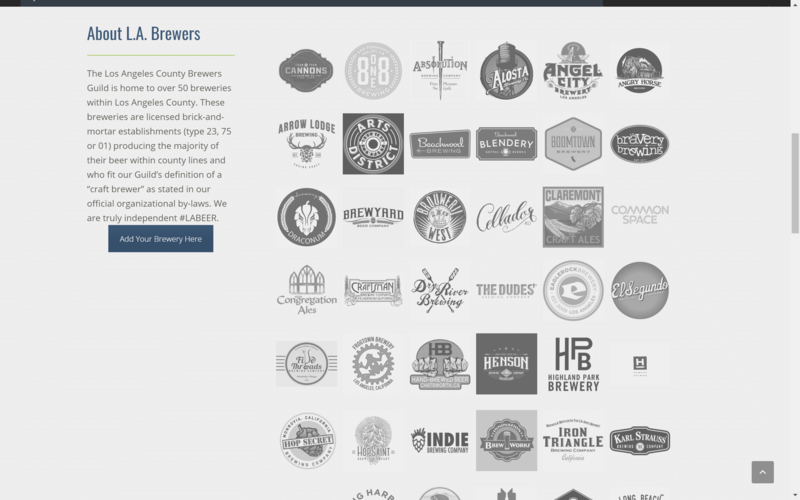 Adapting our beer finder plugin for breweries instead of beer took some work, but we’re happy with the outcome. 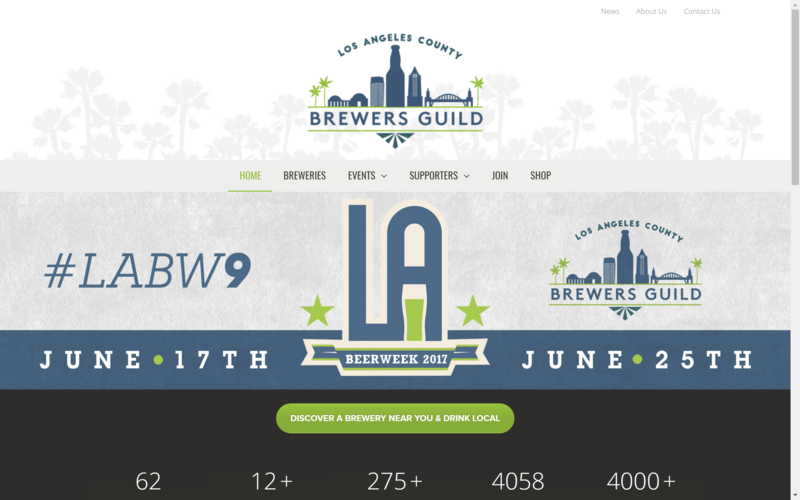 Each post in the custom post type displays on the breweries map with clear location type, directions and brewery details info. 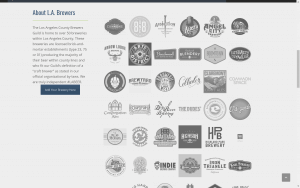 The breweries section of the main menu revolves around these capabilities. 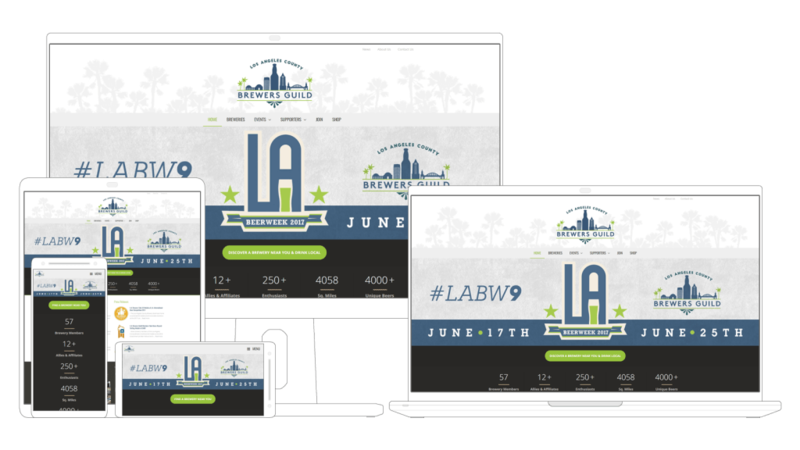 In the other areas of the website with the exception of events and shop, the pages are a straight-forward content architecture endeavor. 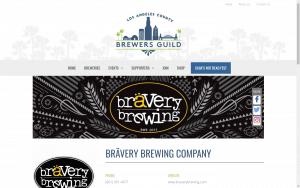 Building compelling copy for the given page title, purpose and interlinked relationships. 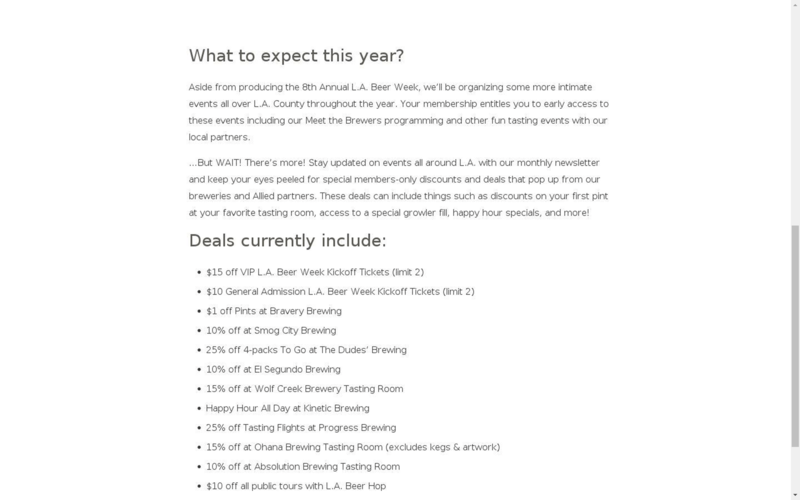 As with many of our Wordpress CMS driven websites that require an event calendar solution, we again chose to deploy ‘The Event Calendar’ plugin by Modern Tribe Inc. It’s a great solution for defining event organizers, locations and specific event purposes. As for the shopping cart objectives, we used the popular Wordpress plugin WooCommerce by Automattic. 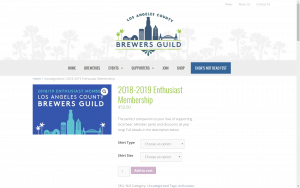 Connecting it with some of our notification and management mechanisms on the backend has made it a realistic & viable tool for new membership signups. 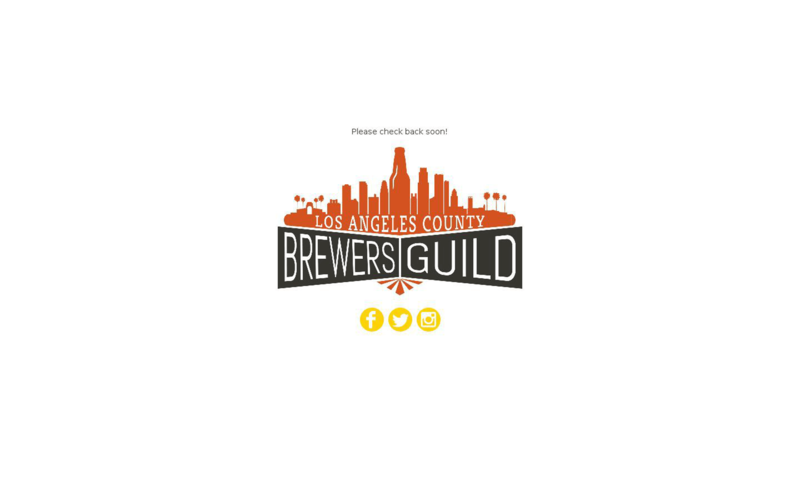 September 2015 – LA Brewers Guild is a splash screen promising more to come soon. 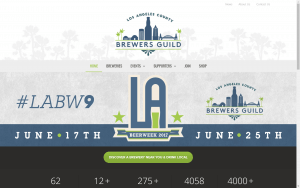 May 2016 – LA Brewers Guild has a pretty basic web presence on their own domain and primarily depends on social media platforms for the bulk of their communication online. 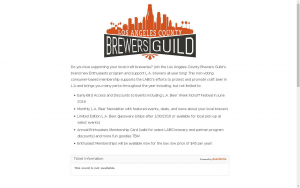 Their single page site was an introduction to the benefits of becoming a guild member. 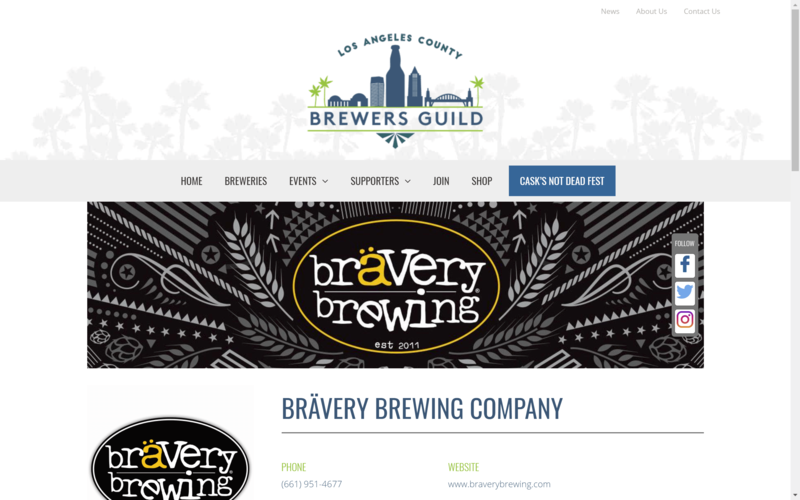 September 2016 – Pixsym LLC (via Headspace Creative, our Craft Beer division) gets a quick Wordpress launched to bring more accurate content online. 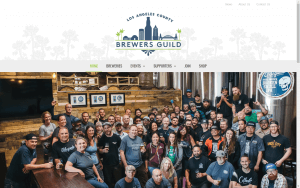 Added bonus to Wordpress is that it allowed the management team at the guild to update content at their own pace when they saw fit. 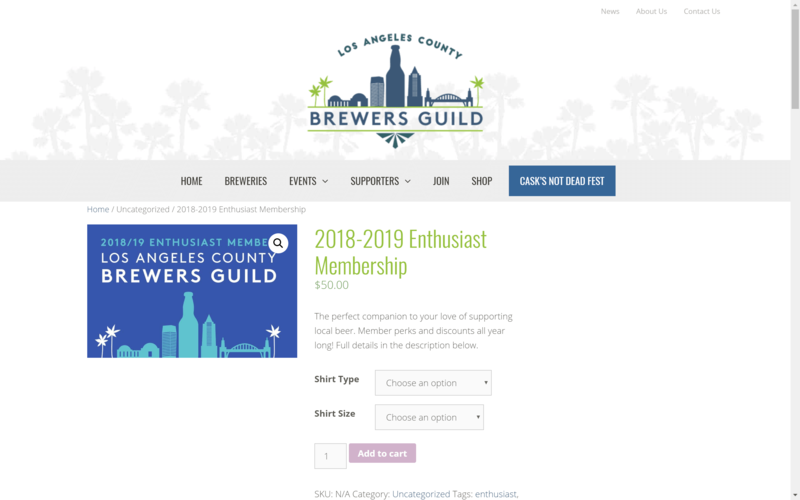 Update 2.0 launches with far more advanced features, including a chamber of commerce like members directory. 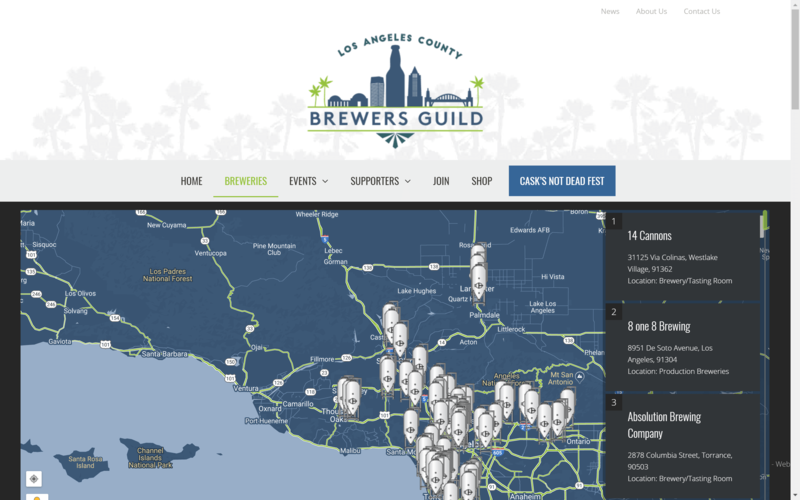 This helps to map all the Brewers Guild members on a dynamic map of LA County & upgrades the site’s utility multiple times over. 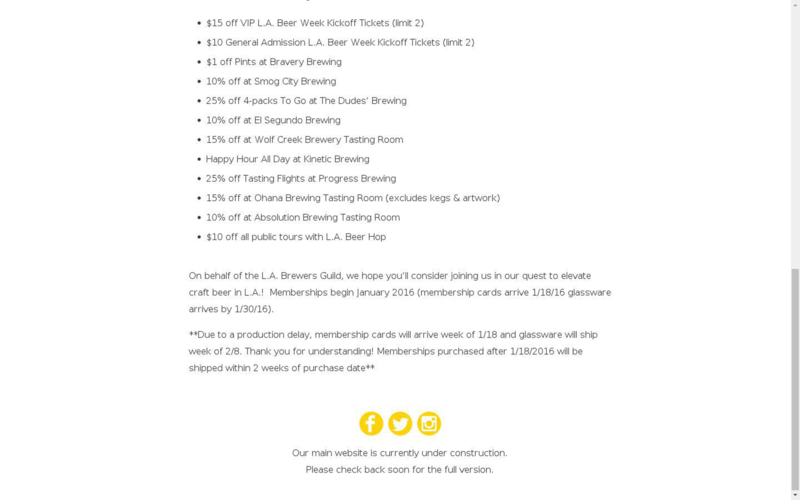 Added value areas like events promo, joining portal & online shop rounded out the upgrades.